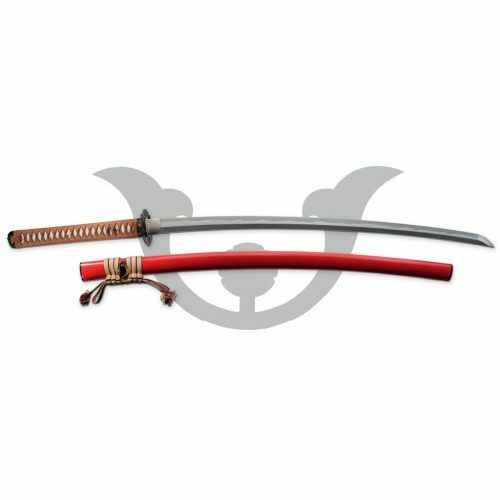 Ten Ryu Bamboo Katana 41 Handmade Sword | MAZ-023F. Beautiful Brass Inlay Saya. 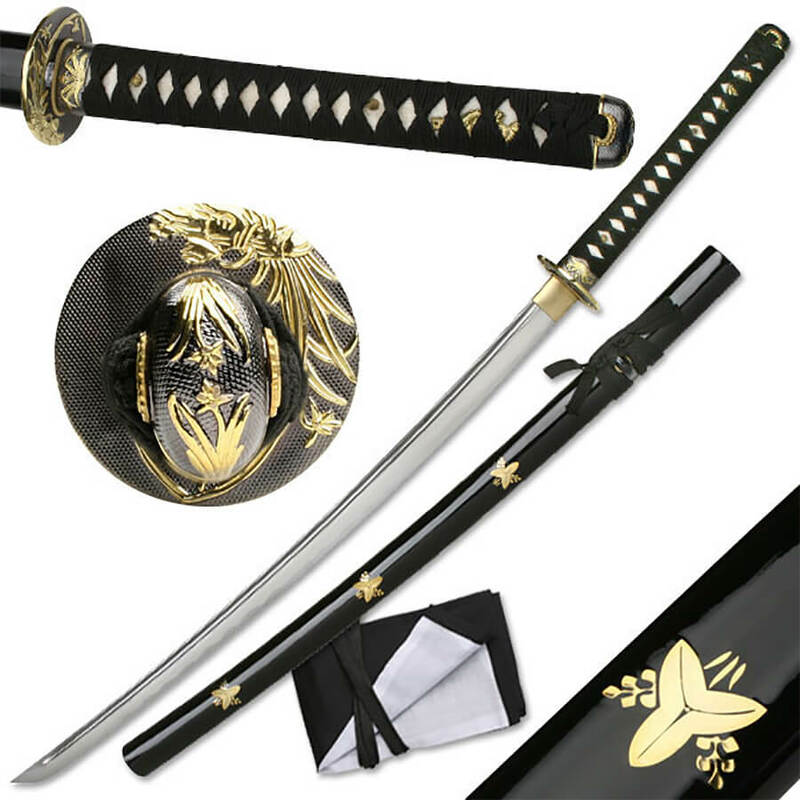 Includes Samurai Sword Bag! 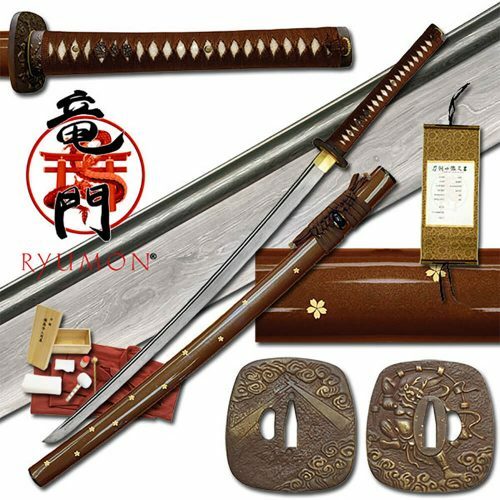 The Ten Ryu Bamboo Katana Samurai sword features a hand forged CS1045 full tang carbon steel blade with full length blood grove and fully sharpened blade. 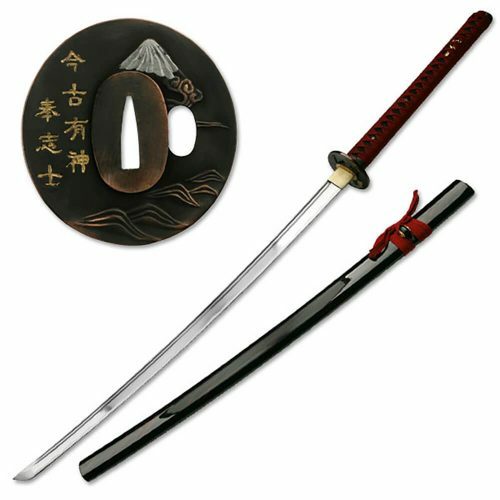 The Bamboo Design Tsuba is nicely detailed and the double pegged Tsuka is wrapped with genuine ray skin. 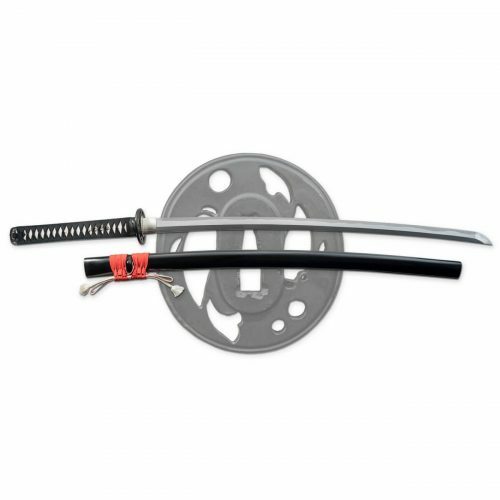 The saya is hand finished in high gloss black lacquer with brass flower inlay.This is a great katana for practice or display.